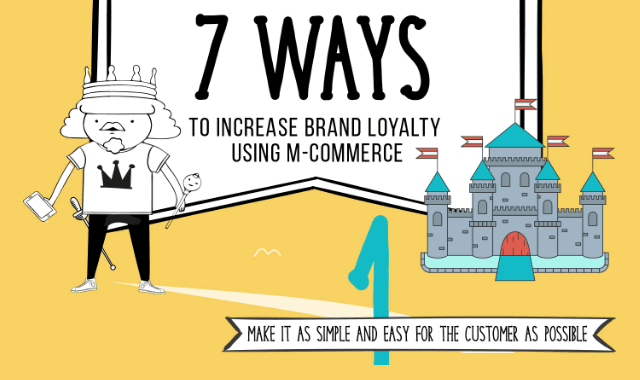 7 Ways To Increase Brand Loyalty Using M-Commerce #Infographic ~ Visualistan '+g+"
We’re living in a mobile-first world, in an age where e-commerce has fused with mobile. It’s a tricky time for brands, in an age where the customer really does know best (and if you’re not the best, they’ll happily go elsewhere). This combination of e-commerce and mobile provides new ways for consumers to purchase from brands and curate their brand relationships. This shift of control to the individual mobile user puts brand loyalty and engagement at front and centre. Keeping a customer loyal over mobile isn’t a walk in the park – thankfully here are 7 ways you can increase brand loyalty using m-commerce.